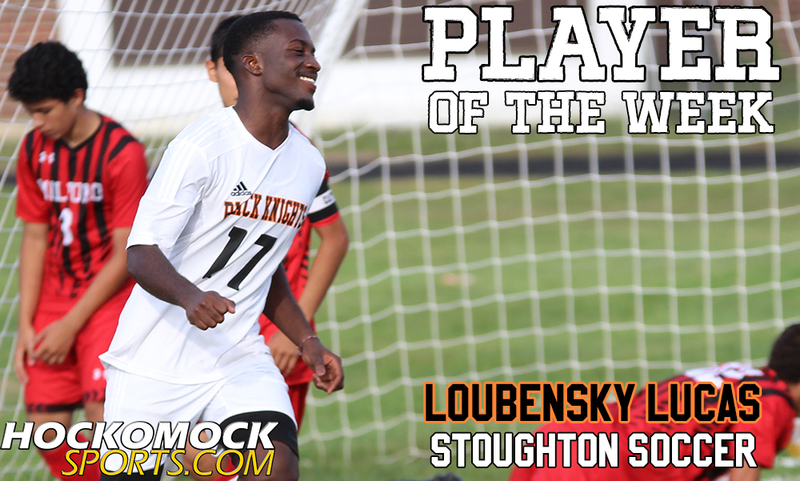 Stoughton senior Loubensky Lucas has been selected as the HockomockSports Player of the Week for September 18th through September 24th; the third player chosen for the 2016-2017 season. 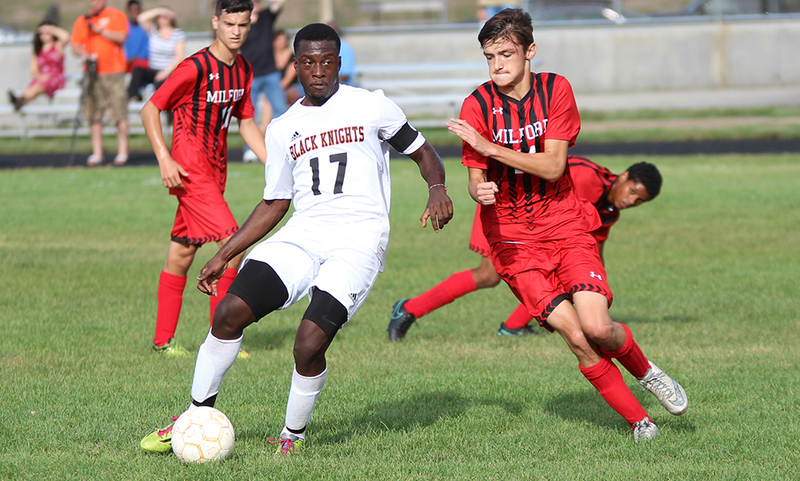 Lucas had an explosive week for the Black Knights, scoring an impressive eight goals this past week alone, leading Stoughton to a 3-0 record in the week. Lucas got things started on Tuesday in Stoughton’s 6-2 victory over Milford. Lucas gave Stoughton a 3-1 lead early in the second half, finishing off a rebound from in close. Later in the half, Lucas took a feed from Goddy Fombe and used a class turn to get past his defender. He was taken down in the area to earn a penalty and the senior calmly deposited it for his second goal of the game. A day later, Lucas was the star of the show as the Black Knights edged out Norwood, 4-3. Lucas took a through ball from Fabio Ponce De Leon in the 11th minute and slotted his finish nicely to put Stoughton up 2-0. Tyler Melo found Lucas early in the second half and the senior finished over the keeper and he completed his hat trick a minute later when Lucas converted a penalty kick. Lucas capped his strong with with yet another hat trick, this one coming in a 3-1 win over Foxboro. Maroc Antunes’ cross found the foot of Lucas in the area for a volley to give Stoughton the lead. Brian Peoples’ through ball put Lucas in and he finished for his second goal of the game and the hat trick was completed when Lucas finished off a rebound from his own shot.